« What’s the Difference Between LC, IBCLC, CLE, etc.? 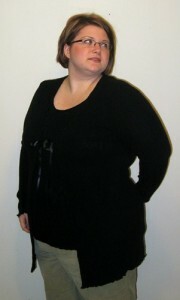 The latest issue of Bust magazine ran a feature article about some of the problems in the plus-sized fashion industry. (The magazine is an indy pub and doesn’t post their content online, so if you are curious to read the whole piece, for sure go grab an issue!) Author Nicolette Mason points out that 67% of American women wear plus-sized clothing and yet, the options available to these women are pretty awful. Drapey, tent-like garments and floral prints come to mind. Mason describes how a few fashion lines have attempted to make stylish plus lines, but ran into problems with marketing. So, then, when the lines didn’t sell well, clothing manufacturers took home the message that plus-sized women just don’t shop and don’t buy clothes. There is also the problem of clothing the plus-sized models for shoots. Even major fashion lines who make a plus line seem to only create their sample clothing items in sizes 0-4…which doesn’t do much good for the magazines and businesses who desire to feature diverse bodies for their photography. Mason’s article really goes into a lot of detail about all angles of the problem, and is a worthy read. BUT! What about plus maternity and nursing lines? Surely, some of the 67% of women wearing the plus clothing at some point decide to become pregnant and nurse their babies, right? Of course they do! Thankfully, A Mother’s Boutique carries a full line of sizes in both maternity/nursing clothing and undergarments. Local customers can come right into the store and try on beautiful clothing that will fit and flatter. Women shopping online can select pieces from the online collection…but they won’t be able to see images of plus-sized models wearing the clothing. Just like Mason points out in her article, manufacturers of plus-sized maternity and nursing clothing do not and most likely cannot provide photographs of plus-sized models wearing their clothes for all the reasons “regular” plus-sized clothing manufacturers cannot. Our store did host a photo shoot several years ago when one customer expressed frustration about this problem. Throughout this post, you can see several images of this customer wearing a few pieces from our clothing line. You can see a few more images here. In order to really show off the plus-sized clothes, store owners would have to host professional photo shoots, and this is not always possible. We’d love to feature some more images of diverse bodies wearing our maternity and nursing wear. For now, it seems improbable to get professional shots from the clothing manufacturers. Hopefully, this will improve in the future. 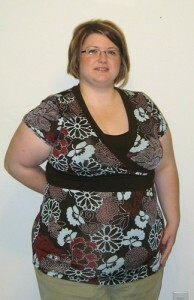 Have you purchased any plus-sized clothing or nursing bras from our store? Please leave a comment or send us an email–we’d love to share some images of you enjoying our products!